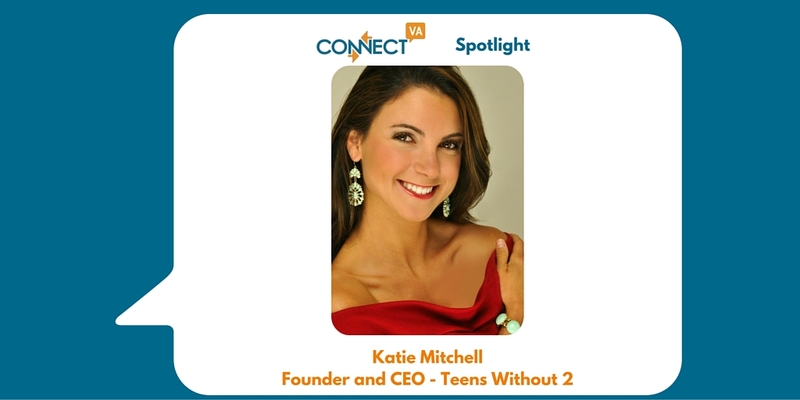 My name is Katie Mitchell, Founder and CEO of Teens Without 2. I graduated from VCU in 2013 with my Bachelor’s Degree in Forensic Science and now work as a Death Investigator for the Chief Medical Examiners Office. Besides Forensic Science, I have a passion for helping others succeed and that is why I founded Teens Without 2. What is the focus of your work, the need you are addressing? The mission of Teens Without 2 is to empower teens raised in single parent homes by providing college scholarships. Our vision is that all students with the dream of attending college will have the opportunity to do so, without financial barriers hindering them. What is most rewarding to me is seeing my scholarship recipients continue their enrollment in college and achieve academic success. Many of our scholarship recipients have relied on earning scholarships, including the Teens Without 2 scholarship, to stay enrolled in their University. I have faced many challenges growing up, including being raised by a single mother. When it came time to pay for college, I had to work hard to apply for scholarships to fund my education. I was once a student relying on scholarships I earned to get me to and through college. Once I reached a point in my life where I was able to give back to others facing similar financial need situations as I once faced, I wanted to do my best to help them achieve their dreams as I did. As Teens Without 2 is still a very new non profit organization, we are seeking assistance in creating a new look/ brand, a new logo, creating a new website, building a board or gaining volunteers to help with tasks and getting marketing and social media help. There is a lot of growth happening this year for Teens Without 2 and I am SO excited about it! Since my education background is not in nonprofit work, ConnectVA has been a great resource to refer to when I want to take a class through Nonprofit Learning Point to better educate myself on how to run an organization. I have also used ConnectVA to connect with potential students who may qualify to apply for our scholarship, connect with those who may be interested in volunteering with Teens Without 2, and to stay up to date on nonprofit news and articles. Fundraisers and individual donations are the primary way funds are raised to award our college scholarships. Our current fundraiser is selling Richmond Flying Squirrels baseball ticket booklets at a discounted price. 4 general admission tickets to any 2016 baseball game is only $30! Teens Without 2 will earn $10 for every booklet sold! If you would like to purchase these discounted tickets and support Teens Without 2 at the same time, feel free to contact me at teenswithout2@gmail.com. I would love your support!